stitched down, just in time! block of the week patterns from Angie Padilla. can't even remember where or when I bought it. I really need to go thru this stash more often! 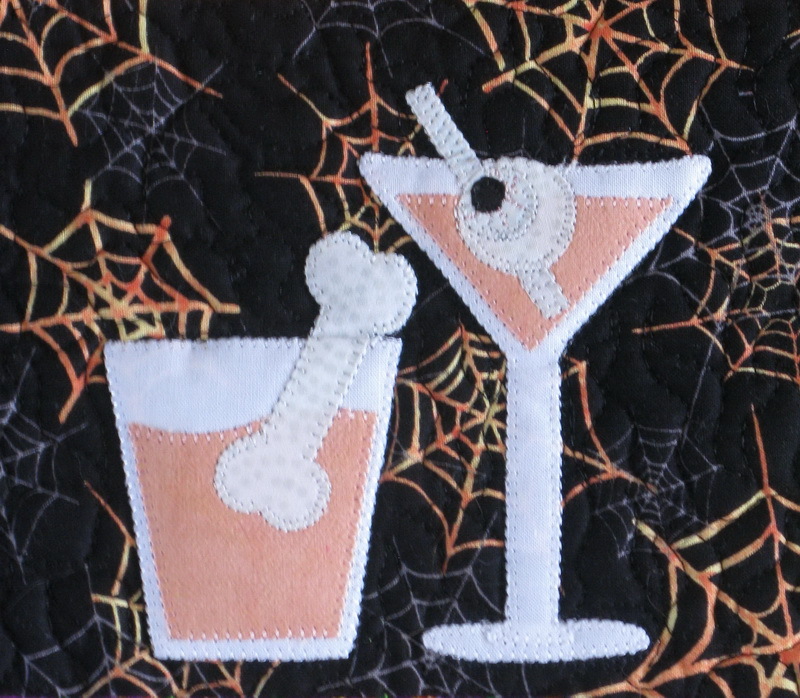 "Sew" enjoy Halloween your way! What a cute quilt. We don't get any treaters our way so it will be a quiet night, but maybe I can find a good scarey movie to watch curled up with the furkids. Another great finish. 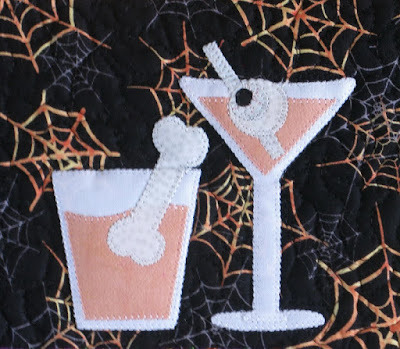 That is such a fun quilt. I love your backing, too. If I had seen that fabric I would have bought a few yards of it. This is a fun one. Well done on the finish. My favourite part is the fabric in the border and backing! And to think it was in your stash all this time. It would look great in a strippie quilt! I actually do like the blocks, too.